CitySpy said: "Over 25,000 new and used books and it seems that the majority of the new ones were at half the marked price. Enter this living room store/library and you have really booked in. A huge selection: classics to academic titles in philosophy and cultural studies. Good selection of central European works and some pop fiction for less than a Euro. You can get started right there with yourself on the couch, nose buried, with a nice cup of tea & a freshly baked cookie." Massolit seems to be the place which everyone talks about. We've heard stories and stories about this bookstore. 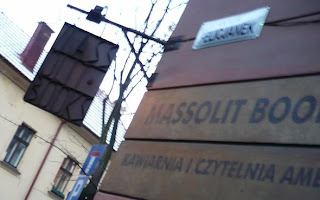 One of our friends, Arthur, has said the following: "Massolit is one of the single coolest things in Poland. Heck, it's worth getting a Schengen visa just to go to Massolit. I've been kicking myself over not having visited the bookstore yet, especially since I'm an English Lit major, I should be living there. But, alas, so much to do and see and so little time. I've purposefully avoided Massolit, because my friends have been there, and apparently, you just get sucked in and can't leave. Especially if reading English is your thing. My best friends have gone in and have failed to reemerge for hours. I'm waiting until I get all my financial stuff in order, and then I'm going to work real hard and save up and go there." 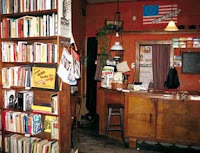 Massolit Books is an English-language used bookstore and cafe located a few minutes from Krakow's old town center. The bookstore stocks about 20,000 titles from a wide range of subjects, both academic and popular. They specialize in classic and contemporary literature and academic titles in the Humanities with strong collections in Women's Studies, Jewish Studies, Polish and Central/East European Literature and History, and Asian Studies, among others. Most of the titles are either used books brought from the U.S., or new books that have been significantly discounted.